This lovely 3 bedroom plus den, 2.5 bath lakefront home has been beautifully maintained and features over 3, 300 square feet of air-conditioned living space. The spacious split floor plan offers a large kitchen and breakfast nook overlooking the large pool area and lovely lake beyond. Separate living and family rooms and a large step-down bar area create the perfect space for entertaining. 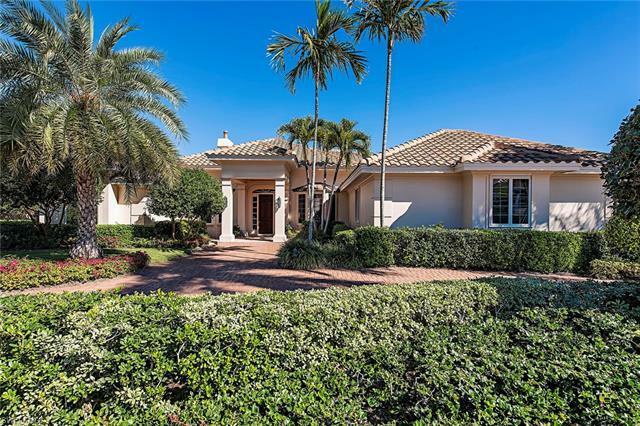 Located in the prestigious and private gated community of Bay Colony this home is just steps from the completely remodeled Bay Colony Beach and Tennis Clubs. No food or beverage minimums.